Yesterday, my sister turned 18! Obviously this is a big birthday so I thought I would share what I got her and also a few other bits I would give to friends & family as gifts. The lovely ladies at Prairie Charms were the first people I went to when I started gathering my sisters presents. They were so helpful! I told them my sisters favourite colours and her style and they came up with 4 lovely pieces. 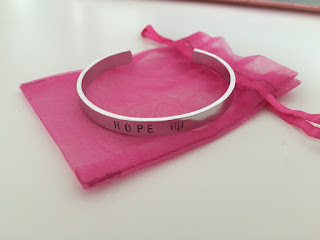 These fantastic bangles can be personalised in so many ways. In any lettering, a large selection of symbols and at any place on the bangle too. My sister loved this piece! 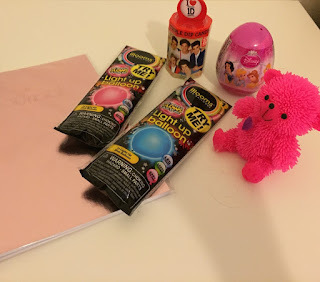 I was in Tesco's a few weeks ago in search of some smaller bits to put with her presents and found all these party bag gifts. 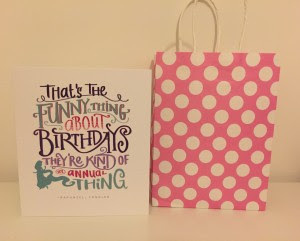 I replicated a party bag from the 90s with all this useless, but slightly amusing, junk. 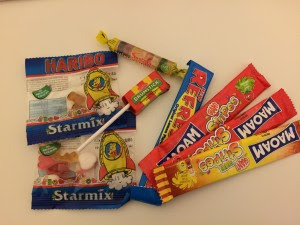 To add to the party bag pieces, I got all these chew bars and other sweets which I’m sure were in all the party bags 10 years ago. This also took the total to 18 presents! Is it just me who absolutely loves wrapping up presents? 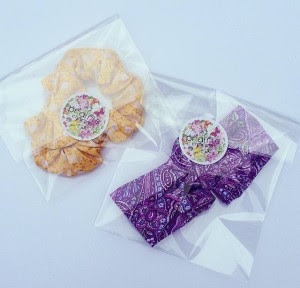 Making them all pretty with matching paper and ribbon. This wrapping paper from wrap.me is completely personalised. You can upload up to 30 photos from your laptop, Instagram or Facebook. You can then choose the type of borders you want and the arrangement of the photos. 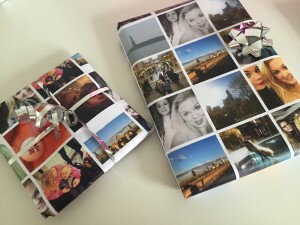 I am so impressed with the outcome of the wrapping paper, the quality and also the service. 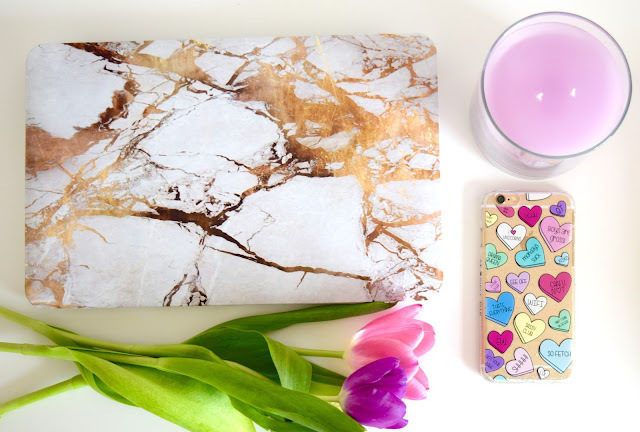 Like everything else, notebooks are great presents! 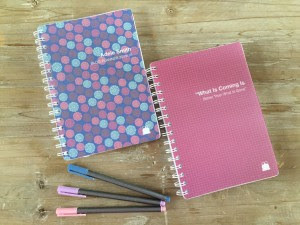 I thought my sister would love a Toad Diaries notebook and you can see my previous thoughts on them here. Even though there are plenty of patterned covers, I chose this blue with white stars which is so pretty! “Welcome to New York” also seemed perfect, she loves Taylor Swift and my other sister and I went out to surprise her in New York so it seemed only right. A fantastic idea with these hip flasks. 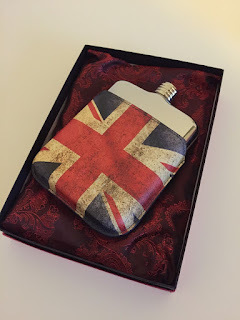 I chose the Union Jack case and classic silver hip flask and I love the look and quality of it! It’s as classy as a hip flask can get! 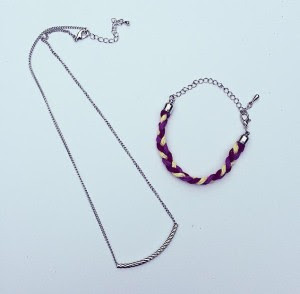 It is totally an ideal present for anyone, over the age of 18 of course! Plus you can engrave the flask and get different cases too. I personally love Birthdays and Christmas as I love buying presents for other people and wrapping them up all pretty. Then seeing their faces as they wreck my lovely wrapping and see the gifts I got them. It’s the small pleasures in life! 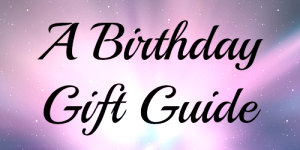 What is the best birthday gift you have bought for someone? *This was kindly gifted to me, and as always all thoughts are my own. Hi, my names Adele and I’m a stationary addict. I must own over 20 notebooks, hundreds of pens, sticky notes, washi tape, you name it, I own it. 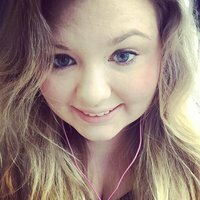 I have been completely awful with blog organisation recently. I’ve had a sudden surge of inspiration, hence why I have had so many posts this month but I have been completely awful at organising myself. So it is time to sort that out! Here are a number of stationary pieces I use in the offline world to stay organised and keep everything together. Toad Diaries* are an online company who specialise in custom made diaries and notebooks to suit you. They have over 20 cover designs, both plain and patterned, plus you can add text to the front and back. I love being able to add the text as it means it is unique to you and no one else will have the same. 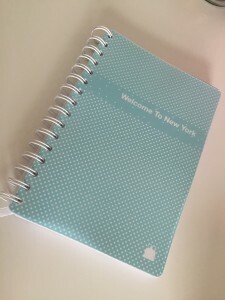 I like using a planner that I can keep all my blog notes in and when the posts will be scheduled. For the inside pages, I chose a weekly view with lined pages. This way I can keep all the relevant blog posts and notes all together on two pages. I love a to do list so those will definitely be used on the lined pages too! I conveniently named my diary “Blog Planner 2015/16, because, you know, I don’t want to get confused now. I also love the large range of covers that are available! 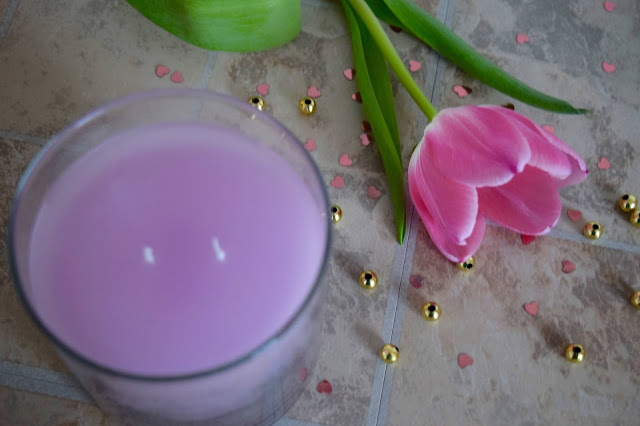 I chose this pretty Spring Flourish pattern which is so pretty and I love the bright colours. 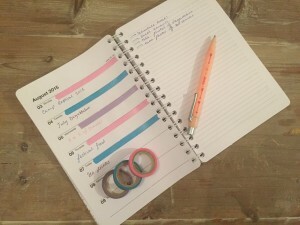 You can also choose the length of the diary and the month it starts, in this case I chose 18 months to start this month! I haven’t had a specific blog planner before but I’m loving it and finding it so helpful. I’m someone who prefers to have notes written down on paper, I just find it easier for when I’m typing it up and I can make little changes to the posts. 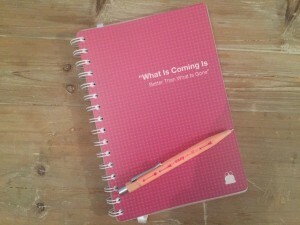 I chose the quote “What Is Coming Is Better Than What Is Gone” to give me a lovely bit of motivation and inspiration before I start writing! I opted for a pink cover, need I say more! You can choose either 120, 160 or 200 pages in the notebook. I love being able to have all my blog notes in one place before typing them up. As well when I’m out of the house without my laptop. I am seriously impressed with the quality, service and quick delivery from Toad Diaries. I would really recommend them! I also use this little to do list pad on a clipboard from Paperchase which I keep on my desk to scribble down things I need to do while I can still remember! I keep these on my desk to make my planner and notes so much prettier. I don’t want a plain, boring planner! These are great in so many ways, adding extra notes to a full up page, adding into planners or just to have on the desk to write down things quickly. Stickers are also a fun way to make planners better! I am crazy about being organised! How do you keep organised?